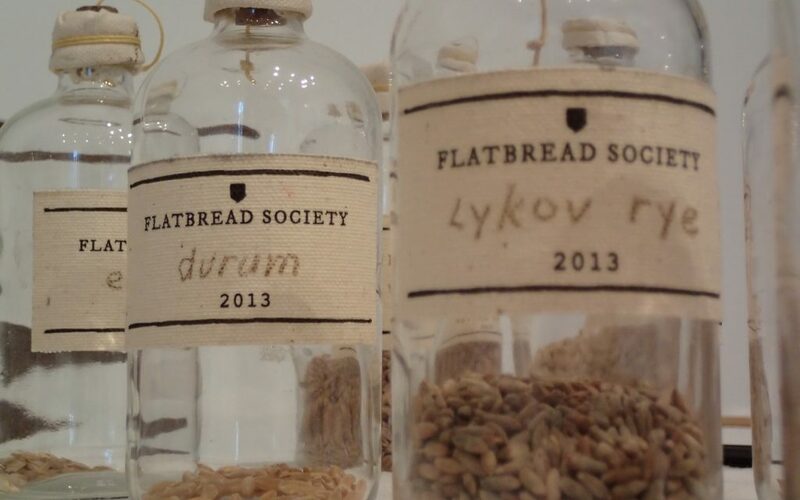 Flatbread Society Seed Collection, 2013-2016. Photo courtesy Amy Franceschini and Futurefarmers. Developed in collaboration with e5 bakehouse in Hackney and artist Amy Franceschini of the Futurefarmers collective, this special supper club is part of Futurefarmers Flatbread Society Seed Journey project, which moves people, ideas and seeds upon an 1895, Colin Archer rescue sailboat from Oslo to Istanbul. Between September 2016 and November 2017 an international crew and a selection of ancient grains (that have been cultivated in Oslo) will return to their “center of origin”, the Fertile Crescent. Through what we eat and discuss, this supper club will offer new insights into the contemporary cultures and politics of seed and grains, with invited guests including Mike Ambrose, Senior Scientist in Crop Genetics from the John Innes Centre in Norwich with Andrew Forbes, founder of Brockwell Bake, who will discuss different approaches to seed diversity. Guests will be hosted in the e5 bakehouse Millhouse and be provided with a three-course meal.